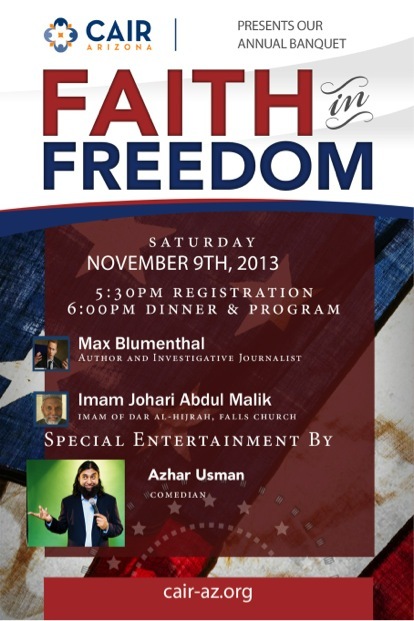 CAIR-AZ Banquet: Faith in Freedom – Schedule it Now Up! With the banquet just a few days away – the CAIR-AZ Team is excited to host this great event. Don’t miss out on this great event – this promises to be a memorable evening!